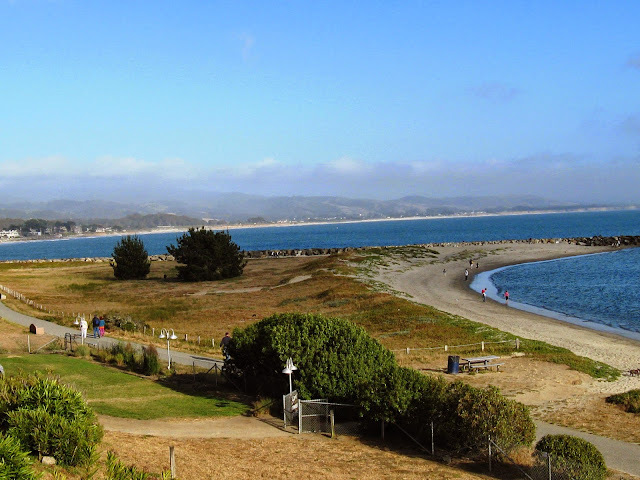 I frequent the coastal Highway One between Santa Cruz and Half Moon Bay and San Francisco. I am always surprised to find so many unusual differences along this one hour drive. Today I spent time in and around Half Moon Bay. This picture was taken on a drive north of Half Moon Bay about 5 or 10 minutes. There is a nice walking trail and beach access. If you get hungry and thirsty, please find 'Sam's Chowder House' restaurant which I recommend their fabulous Lobster Rolls, drinks, and an unusual array of ice cream desserts. Nope, I do not have pictures of the Lobster Rolls nor dessert because they disappeared quickly. I was drawn to this artist mural in town too. 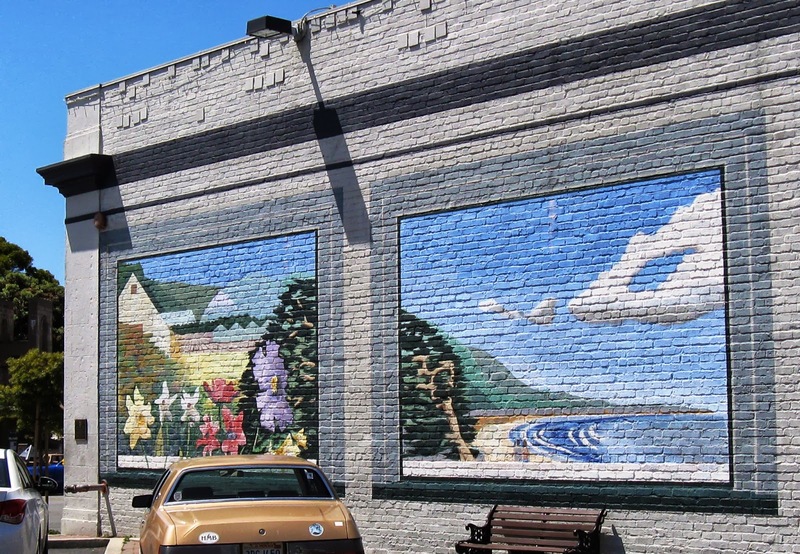 Which do you like better, the mural or the actual scenery picture above? Tell me in your comments. Do research for regions and find hotels at Lighthouse Travel & Tours, Santa Clara Tour Company. The buildings are getting closer to our favorite Valley of Heart’s Delight Produce Stand. Sunnyvale’s Corn Palace may soon disappear. I stopped by to take pictures. Of course, it is not like the famous Corn Palace in South Dakota, it is a symbol of yesteryear dating back to 1926 – and as they say, if the walls could talk, oh, what stories they would tell. 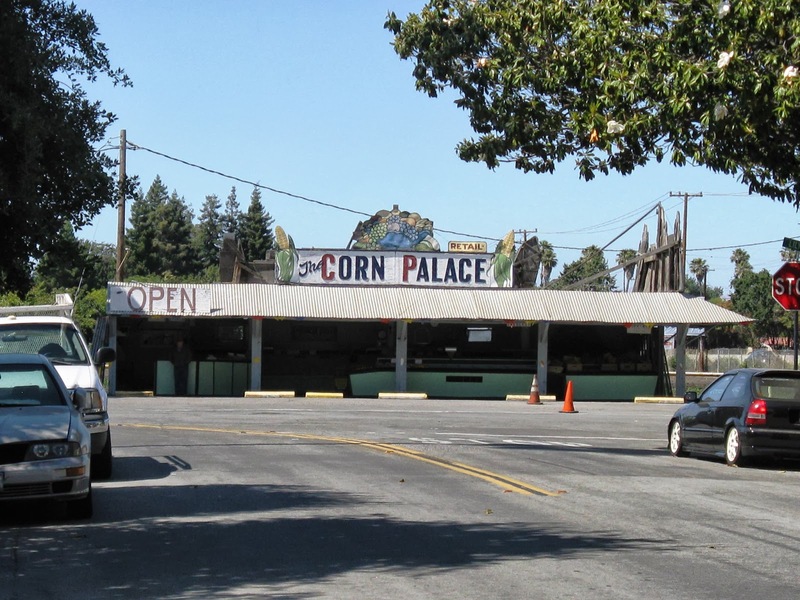 “The one good thing about the Silicon Valley parking lot commute mornings and evenings on Lawrence Expressway is this small open-air structure with fresh produce in front of a backdrop of acres of corn,” Daniel Hindin writes in Sunnyvale’s Sun news article, Way We Were – Corn Palace in 2000. 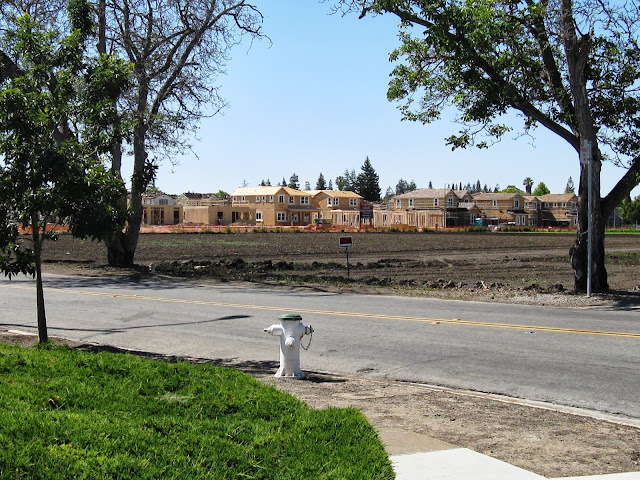 Joe and Ben Francia co-owned this 20-acre farm along with farm land in Mountain View and in the Salinas Valley. At 80 years in the year 2000, the Francia Brothers recall the history and growth of our area in this article. Even with many offers on this golden piece of real estate in Silicon Valley, neither one considered giving up life as they knew it. It was in 2005 – 2007 when one of the brothers passed away that a family decision overrode the other brother to keep their wishes and not let go. And, it appears there were ill feelings about this. The new residential buildings get closer. I pulled this history together from three sources - talking with an older gentleman at the Corn Palace (he recently got out of the hospital after a long illness) and very happy to return to work at his beloved Palace, from the 2000 Sun article, and a Corn Palace blog post written in 2007. The gentleman told his story of this history word for word (before I read the article) as if it just happened. I also found this short video taken in the actual fields behind the building with excellent commentary of this area. Corn Palace Video is below. What is your favorite story of yesteryear? Did you like this article? What is your memory of the Sunnyvale Corn Palace? Please sign up for our newsletter by email and review the items in this sidebar -- share with your friends. 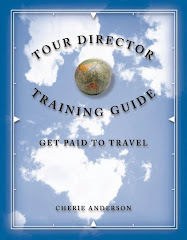 Trip itineraries or Concierge Advice? Sign up for our newsletter - to get offers, news, hotels, and destination ideas are online at Lighthouse Travel & Tours, a Santa Clara CA Tour Company.